This is a continuation of last week's post "50 Ways to Promote Your Music and Grow Your Fanbase - Part 1". "It is not a bad place to network with other musicians. They have a few decent tools. And its nice to have some links back to my website and other social media properties. If you are just starting out and testing the waters, you could do a lot worse. 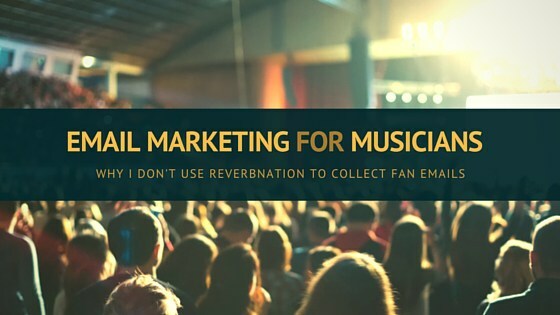 But if you want to get serious about marketing online, building your fan base, and growing your music career, you should be thinking beyond ReverbNation. Especially when it comes to your email marketing."